Never underestimate this tablet under $100 that is already available in China and soon to be released to other countries in the future. 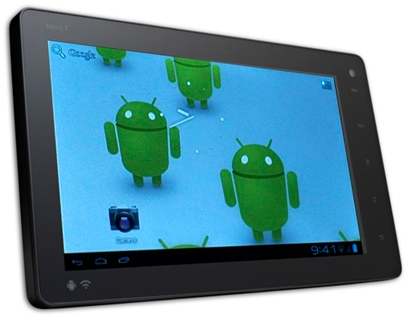 Because this device, the Ainol’s Novo7 runs Google’s Android 4.0, a.k.a. Ice Cream Sandwich, with a 1GHz single-core processor under MIPS Technology that owns a brand capable to compete with ARM and Intel for smartphones. This new tablet may have been patterned to Amazon Kindle Fire with its size of 7-inch capacitive and HD capabilities screen. The question is, if this device is certified to run Google’s applications? Yes it is. Apps such as Google Maps, Gmail, Google Music ant Google Talk are accessible to Novo7. But the tablet access to Android Market is no yet available since negotiations still to be arranged by Google with carriers and U.S. OEMs for its future releases of the product according to Jen Bernier-Santarini, MIPS Spokesman. Third party market apps are unrestricted to download such as Amazon and Angry Birds. Other features of the tablet: HD video at 1080pexils, cameras both front and back, port for HDMI, with battery life that last for eight hours on video, and less hour for browsing the Web and 6 hours for playing games. Although concerns such as reliability, durability and design are among the issues people might consider first before acquiring one.